Bust bosses do it. School kids, too. So do celebs and sports stars, like Seattle Mariner Alex Rodriguez and Olympic gold medalist Carl Lewis. Miami attorney Mark Eiglarsh is into it, as is humorist Dave Barry, And WFOR-Channel 4 meteorologist Bob Soper does it when he's not fiddling wiht his weather map. 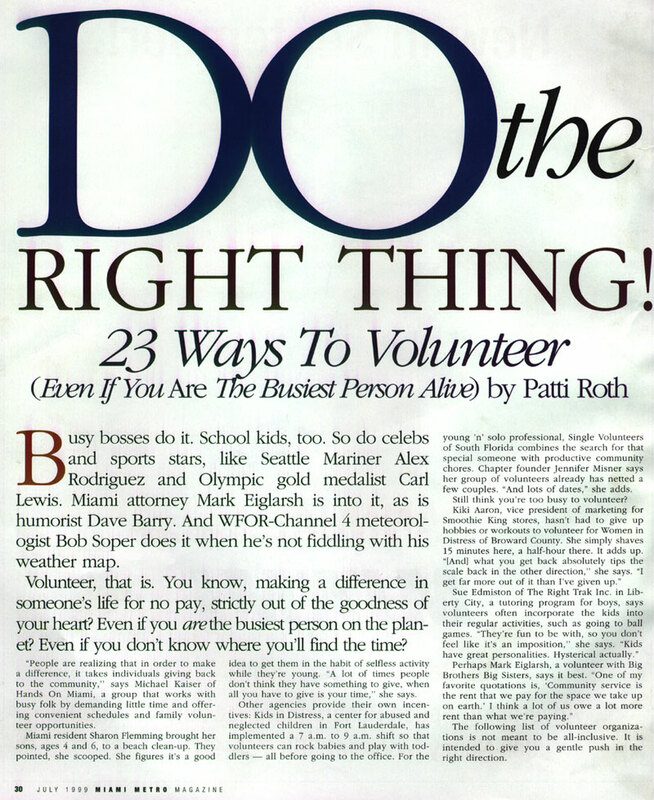 Volunteer, that is. You know, making a difference in someone's life for no pay, strictly out of the goodness of your heart? Even if you are the busiest person the planet? Even if you don't know where you'll find the time?